But the noise from a nearby paper manufacturing facility on Shawnee Road is particularly noisome during the afternoon and even sometimes between 2 and 4 a.m., he said. “People in the community are upset and we truly appreciate any action taken to rectify the situation,” LePardi said. Other citizens voiced concerns about reports of sidewalks being constructed throughout the town and how they would be paid for. “There are a lot of roads in town that are as narrow as Krueger Road,” said Sharon Moyer. She said most drivers are courteous on Schultz Road, but sometimes she will encounter a motorist that seems like they’re going to run over her. But sidewalks aren’t the answer, she said. She said signs should be installed at the beginning and end of Schultz Road to warn drivers of the increasing amount of pedestrians that are using that thoroughfare. Town Supervisor Robert Cliffe told her neighborhoods that wanted to install sidewalks can do so by creating a special tax district. The funding of the sidewalks would be paid for by an additional charge to their property taxes. The planning board gave conditional approval to a cell tower at 6571 Shawnee Road, according to Tim Zuber of the town’s engineering firm, Wendel Duchscherer. The primary tenant is Verizon Wireless, and the applicant was told to notify the Air Force base and airport in Niagara Falls of their intentions to build there, he said. The town board also voted to authorize Wendel to provide professional services for the Niagara River Waterfront Multi-Use Trail for $346,635. The trail will extend the one that runs through North Tonawanda’s Gratwick Park to 102nd Street in Niagara Falls. Another item also brought up at the meeting came from Parks and Recreation Director Mike Renali, who told the board Fairmont Park’s new 30-foot zip line is up and the kids love it. Renali said he saw the model at a trade show at Bond Lake in Ransomville. 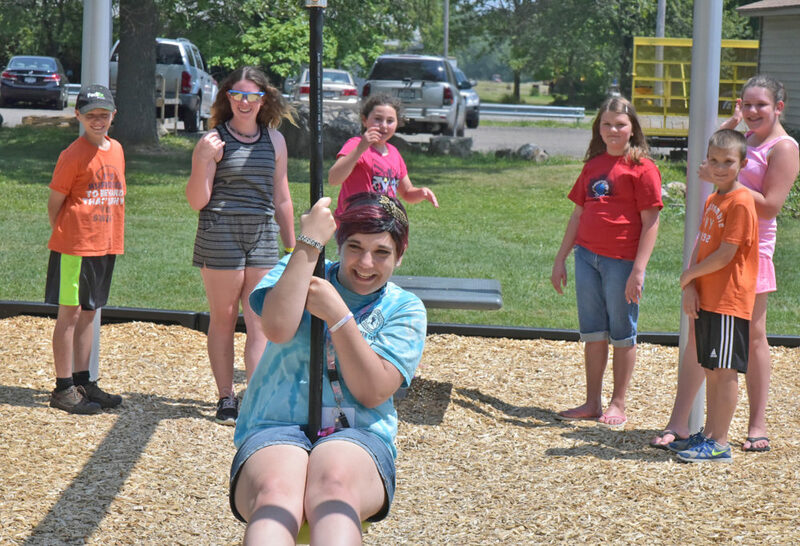 The $12,000 playground wonder — designed for all ages — was delivered to the town during the fall and set-up a couple of weeks ago.